With a total population of more than 118 million, Mexico is now a high-middle income country with an advanced demographic transition, where birth and death rates are low. It faces wide economic and social disparities, however, and more than half of its people live in poverty. 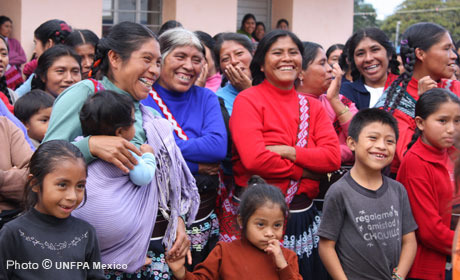 UNFPA has been active in Mexico since 1972. Current programmes address key issues such as the incorporation of population dynamics in local development planning and programmes; youth-oriented policies and programmes; the sexual and reproductive health of indigenous people, migrants, and youth; the prevention of gender-based violence; and comprehensive sexuality education.